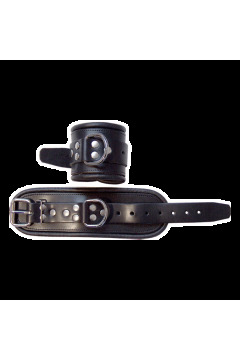 By popular demand, we are producing this set of buckling cuffs. 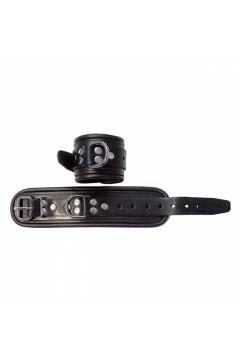 These are 2" wide, made from black rubber which is thick and strong, but also soft. The cuffs will fit wrists measuring 5.5" to 8" around. A heavy-gauge D-ring provides a point of attachment. A clever design we think you'll like.